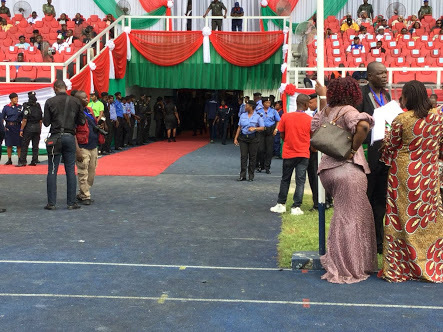 Members of the Peoples Democratic Party, who were fortunate to be delegates at the party’s national convention held in Port Harcourt on Saturday and Sunday, have described the exercise as worthy. This is because, many of them were said to have received thousands of dollars from some rich presidential aspirants. As early as Saturday morning, some of the delegates said they already had up to $9,000 each while they said that they were still expecting more. The aspirants who are taking part in the primary are a former Vice President, Atiku Abubakar; Governor of Sokoto State, Aminu Tambuwal; Governor of Gombe State, Ibrahim Dankwambo; a former Governor of Kano State, Senator Rabiu Kwankwaso; a former Governor of Sokoto State, Alhaji Attahiru Bafarawa. Others are the President of the Senate, Senator Bukola Saraki; a former President of the Senate, Senator David Mark; a former Minister of Special Duties and Inter Governmental Relations, Alhaji Tanimu Turaki (SAN) and a former Governor of Plateau State, Senator Jona Jang. Also in the race are, a former Governor of Kaduna State, Senator Ahmed Makarfi; a former Governor of Jigawa State, Alhaji Sule Lamido and Dr. Datti Baba-Ahmed. The Punch gathered that a particular aspirant, who had taken part in a presidential primary before, was said to have first offered the delegates $2,500 each in exchange for votes. But when he heard that another aspirant offered the delegates $3000, he increased his own to $4000. The first aspirant later offered same amount of $4000, and action that forced the man who offered $4000 to increase his own to $5000. Another aspirant was also said to have offered a mere $1000. It was was also learnt that some aspirants gave out naira to the delegates, while a source said states with large delegates got N50m, while others with fewer delegates got less. However, investigations by The Punch also revealed that other aspirants had also offered unspecified amount of money to the delegates. Two delegates from the North-West, who spoke on condition of anonymity, confirmed they received cash. He said, “We are not going to sell our conscience because of the money. In fact, we saw it as an opportunity to collect what belong to us from these men." Another delegate from the South-East, who also confirmed that he collected money even wished that the exercise could be called off and another one organise to enable him to make more money. Meanwhile, three notable presidential aspirants on the platform of the Peoples Democratic Party, on Saturday night, divided the ranks of the leaders of the party on who should be supported among them to fly the party’s flag in the February 14 presidential election. The aspirants are the Governor of Sokoto State, Aminu Tambuwal, a former Vice President, Atiku Abubakar, and President of the Senate, Bukola Saraki. The leaders of the party had earlier met with all the aspirants at the Presidential Hotel, Port Harcourt, where the need for some of them to step down was discussed. Among the aspirants seen at the hotel were Tambuwal, Saraki, and a former Governor of Plateau State, Senator Jonah Jang. Other aspirants were said to have been part of the meeting which was also attended by majority of the 14 PDP governors, except the governors of Delta State, Ifeanyi Okowa and his Ebonyi State counterpart, Dave Umahi. Both Okowa and Umahi are holding critical positions in the electoral committee. While Okowa is the chairman of the Special National Convention Committee, Umahi is the secretary. A source close to the party said both men were excused in order not to affect the credibility of the outcome of the convention before Nigerians and the aspirants. It was gathered that majority of the party leaders, former presidents and some retired generals were routing for Tambuwal. The former Speaker of the House of Representatives was considered based on his age, his reach and acceptability even beyond the PDP. He is also said to be enjoying the support of some of the notable traditional rulers across the country. Atiku, on the other hand, was also said to have the backing of some members of the party’s Boards of Trustees and some former governors. 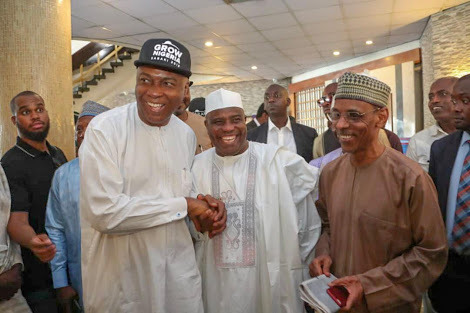 Saraki, a former governor of Kwara State, was also believed to have the backing of some senators and a few governors. All the aspirants were said to consider themselves as having the ability, if backed by the party leaders and other notable Nigerians, to defeat President Muhammadu Buhari in 2019.